Join us for a discussion panel as we answer questions and discuss the topic of Heaven & Hell. 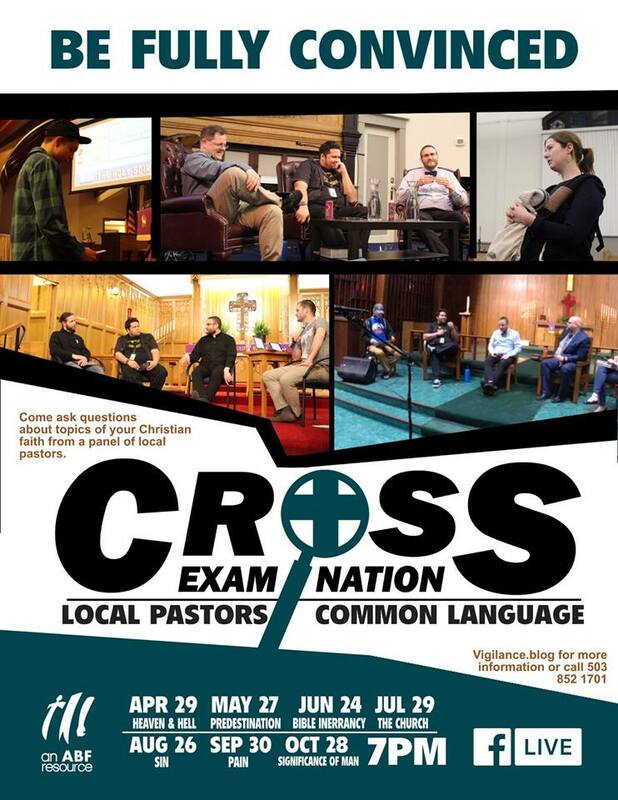 Join us April 29th at 7 pm for this month's Cross Examination! April's topic is Heaven & Hell. Local pastors will be taking questions from those seeking a fuller understanding of this subject and they will be seeking to use common language in their responses. All ages, who are seeking an honest, biblical discussion, are welcome. Questions can be submitted online via #crossx and the Vigilance.blog.